CUPW is one of a very few unions that has negotiated a Child Care Fund to help its members with their child care needs. And we use a unique and progressive approach. Today the Child Care Fund supports eight child care projects in different regions of the country and two national projects to support members who have children or adult sons and daughters with disabilities. Provides help to the families of children (0 to 18 years) with special needs or disabilities. Financial help is provided to reduce the higher cost of appropriate child care and other related services. Member-to-Member Connection (up-date link) newsletter twice yearly. Provides help to the families of adult children (18 and over) with disabilities. Funding for members whose adult children are dependent on their parents for care. Use of funds may include additional expenses such as respite, supervision of adult child, life skills training, transportation, tutoring and uninsured heath expenses. 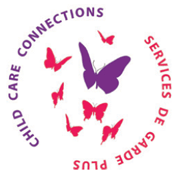 In addition to our two large national projects for members who have children with special needs or disabilities, the CUPW Child Care Fund works with eight community-based child care partners across Canada and Québec to support CUPW parents with children aged 0 to 12. Working with community partners means the union can help its members balance work and family responsibilities by supporting access to high-quality, regulated child care. To learn about each of these projects just click on the link to find out more information about the project in your area. The not-for-profit Child Enrichment Centre offers full-time, centre-based child care for children aged 12 months to six years. Churchill Park offers city-wide family day home care for children aged 0 to 12 years. The program also offers flexible hours, Summer care, and help with making alternate day care arrangements. Both programs offer inclusive care for children with special needs. Subsidies are available for qualifying families. Make sure to identify yourself as a CUPW or UPCE-PSAC member. Family and Child Care Connections offer a variety of programs, services and supports to postal workers, family home child care providers and other families in the St. John's Region. Services include a registry of parents looking for child care, workshops and training regarding child care and parenting, social events, special outings, toy, equipment and resource lending libraries, and transportation for child care. 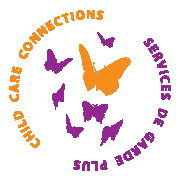 Support is available for those requiring child care for early morning or evening shifts. Franco-Sol French Language Child Care Centre is a non-profit child care agency that operates 10 child care centres located in the French schools in Windsor and Essex Ontario. Its goal is to offer enriched opportunities for exploration and discovery that enable children (ages 18 months to 12 years) to grow and develop within a francophone environment. Franco-Sol provides individual attention in a small classroom setting with enriching activities that complement learning in a French environment. Programs include day care, before and after school care as well as child care for PA days and the summer months. Ska:na Child and Family Learning Centre (SFLC) offers centre-based child care programs for children from birth to 12 years old on weekdays from 6:00 a.m. – 5:30 p.m. Programs include day care, as well as before and after school care. SFLC is a Native, non-profit, registered charity providing quality child care in the Windsor community. The word Ska:na is an Oneida word that means "Peace". Ska:na creates an environment where children are safe, nurtured, loved and encouraged to learn. All children are valued, accepted and included; and embrace inclusion and celebrate diversity such as culture, language, religion, socio-economic status and ability. Children are entitled to full participation and support to meet their individual needs, using a strength based, families centered approach where we all learn from each other. The Preschool Centre offers a centre-based child care program for children aged 6 months through 11 years at three locations in Fredericton. This program offers hours of operation that accommodate morning and evening work hours of CUPW and UPCE-PSAC members. Regular program hours of operation are 7:30 a.m. to 5:30 p.m. The Preschool Centre also offers group child care and afterschool care from 6:30 a.m. - 7:30 p.m. (includes an evening meal), summer camps, and program integration for children with special needs. Families may also qualify for daycare assistance subsidy through New Brunswick's Social Development department, call 1-866-444-8838. Community Connections Child Care Centre offers centre-based child care programs for children from birth to 12 years old including day care and before and after school care. The centre is open from 5:45 a.m. to 6:00 p.m. on weekdays. Highly qualified staff help children develop a positive self-concept through age appropriate activities designed to meet each child's need. Children are cared for and learn in a safe and nurturing environment.